What a year! 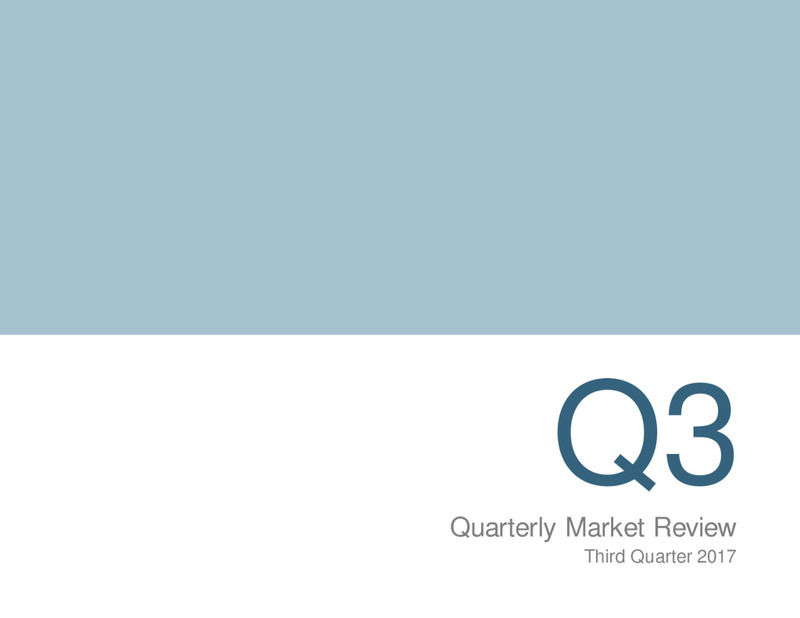 In addition to this newsletter please know that your quarterly portfolio reviews have been uploaded to your client portal as of 10-13-2017. To date almost every major asset class is positive and some asset types, like emerging markets, are up over 25% year to date. While we can’t expect to get double-digit returns every year that doesn’t mean asset prices must come tumbling down either. 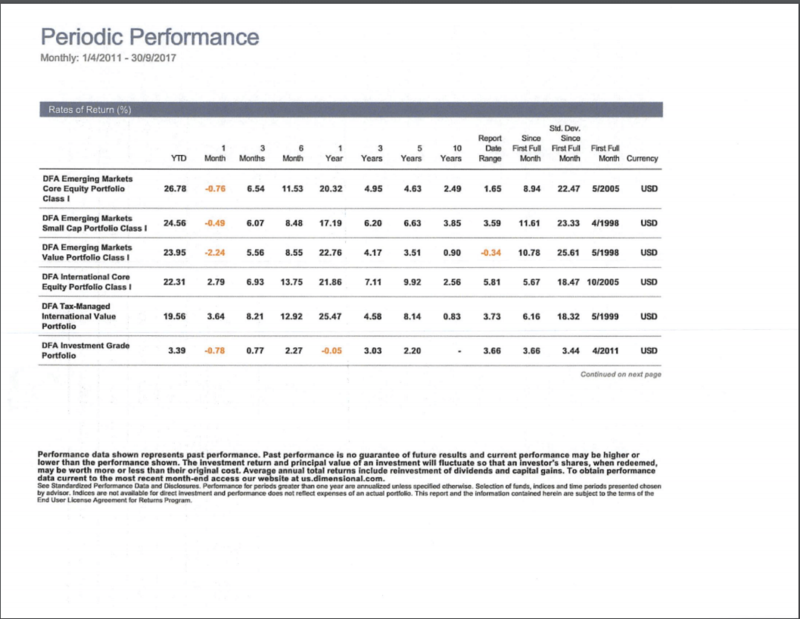 The attachment below shows the performance of many of the individual investments used in our portfolios. As you can see all of our equity funds have posted strong gains. MWA Portfolio Holdings Report by Position: This report includes most of our major positions used in our portfolios. Here you can see our fund returns over the course of time, with milestones being: Year to Date (YTD), 1-year, 3-year, 5-year, 10-year, and Since Fund Inception. 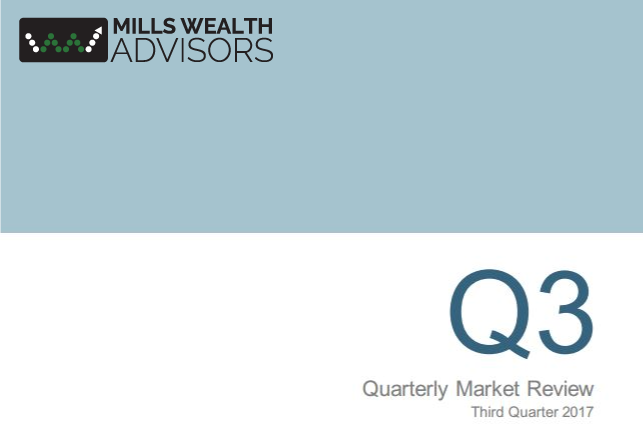 MWA 3rd Quarter 2017 Investor Reporting Package: This report shows asset class returns, size of the various markets, a discussion about how portfolios are weighted, and the effect that has on expected returns. Over the past eight years, U.S. markets have posted very strong gains in stocks and real estate as money has left international markets in search of stability after the financial crisis. US indexes have posted one of their best records in history, especially when compared to their peers around the world. We have heard many client’s concerns surrounding today’s valuations as they worry about the music stopping and stock prices declining. I want to take a minute to reframe this common thought most investors have. In nearly ninety years of market history, if you bought stocks on the absolute worst day, the average time to make your money back was three years. When you consider most goals are 10-15-30 years out, three years is a short time frame, and it probably shouldn’t make you shy away from investing in stocks. Although living through a major market decline can be painful, investing is nothing more than deferring consumption to the future, sometimes decades into the future. Many times, the risk is often greater and we will invest too conservatively, not too aggressively. It’s important to remember markets rise more than they fall, records usually follow records. Another encouraging fact is that when the stock market hits a high, there is a 68% probability that the market will hit an all-time high within the next year. Missing market gains is a much greater long-term risk to most investors than being in the market when they temporarily fall. In your portfolio, we mitigate the risk of a decline a few different ways. 1. We use high quality fixed income to provide defense to the portfolio. Your bonds are an asset that will hold their value in declines, so when the time comes, we can then sell those bonds and use those proceeds to buy stocks. 2. Diversification by types of assets. Different markets and different asset types like real estate tend to rise and fall at different times making the long-term ride smoother and the total returns higher than a portfolio that only holds one asset. Our typical 60% stock portfolio is designed to have about the same risk and return of the S&P 500 gross of fees albeit with about ⅓ less risk. Next, I want to take a closer look at emerging market valuations in relation to S&P 500 to remind investors that while a stock market decline is always possible, it is probably not imminent. Expansions can last many years because getting economic activity going works a lot like a snowball rolling down a hill. Once economic momentum gets started and money begins to cycle throughout the economy, it spurs additional economic activity, and a rising tide can lift a lot of boats. As you can see from Exhibit 1 below valuations outside the US are still extremely attractive vs. today’s low fixed income yields, as judged by the PE Ratio (P/E), and the Price to Book ratio (P/B). In every category, but risk, emerging markets appear to offer more attractive metrics. I think emerging markets are likely to be a better asset to own, as long as investors can tolerate the portfolio fluctuations that come with owning a more volatile asset class. It is my belief that we will continue to see capital flow to markets that offer investors better valuations and higher potential long-term returns, further weakening in the dollar and overseas markets get an additional tailwind. Since these markets are small strong capital flows and are like filling a coke bottle with a fire hose and cause large gains quickly if a lot of assets flow into these less liquid markets in a short time period. Key Ratios comparing S&P 500 (SPY)and the Emerging Market Index (EEM) and the DFA Emerging Market Small Cap Asset Class Fund (DEMSX) and 10 year Treasury. Click here to view a chart of Expected Returns and Expected Volatility and see where certain asset classes fall on the spectrum. I also want to remind investors that most of the portfolios we see are significantly underweight in emerging markets, especially in their 401k retirement plan accounts. Many of these plans lack cost-effective options and if your plan does not offer an attractive emerging market position it might be wise to consider a larger weighting MWA Account to keep your total allocation exposed to this asset class and “tilted” toward market areas that offer higher potential returns. According to legendary emerging market manager Mark Mobius at Templeton, “valuations are climbing” and “corporate earnings are improving as economic growth rebounds.” Add to this the recent weakness in the dollar and you have a recipe for continued success. With interest rates near all-time lows, investors are searching worldwide for yield, and it is easy to see that Investors will find more yield and at better valuations outside of the United States albeit with more ups and downs. 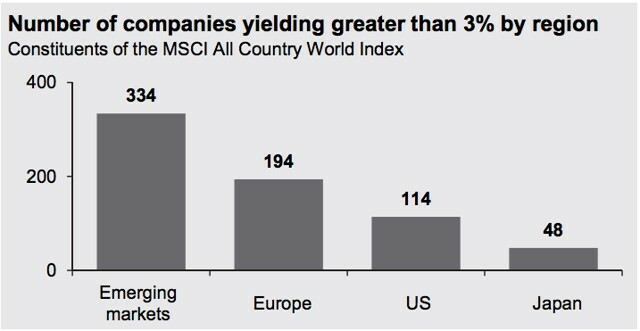 Exhibit 2 shows the number of companies by region with yields more than 3%. Dividend yields on the entire asset class of emerging market stocks are about what the 10-year treasury is expected to yield without any additional upside. When you add up all the metrics, I think emerging is an asset class where we want to maintain exposure and I think it is likely that we are still in the early to middle innings of this ball game. One of my favorite financial journalists is Jason Zweig, the author of the Intelligent Investor column in the Wall Street Journal. This column is consistently filled with stories that spew pure financial wisdom. In Jason’s most recent column he looks back at the 1987 stock market crash where the DOW fell 23% in one day, the indexes largest 1 day decline up to that point. Today a 23% one-day decline would remove over 5,000 points from the DOW. I don’t know when the next market decline will happen, but I know with certainty that it will happen. What would you do, if tomorrow’s headline read stocks decline 5,000 points today? Hopefully you would be adding more money to this fire sale and allowing us to rebalance your account, a strategy we will execute unemotionally (rebalancing is a strategy that sells the winners and buys the losers, in market declines: we sell bonds that hold their value and buy equities after they fall in value, conversely when markets rise: we sell stocks that have risen and buy bonds which have not risen as fast). Studies show that investors with a plan invest better than those that don’t. Those that approach a market decline with defensive assets like bonds and cash that can provide immediate liquidity are much more likely to see the decline as an opportunity to profit from as opposed to a wealth destructing event. Longtime investors know that recessions and market declines are the best time to create wealth, although the wealth creation results from the actions taken in a market decline, even though they don’t materialize until prices rebound, usually 12-36 months later. An old adage thrown around Wall Street, is market declines are when stocks are returned to their rightful owners. Let’s “Stress Test” your portfolio, and review the worst-case decline (in dollar terms) compared to the expected returns that your portfolio should produce and make any adjustments needed to keep you comfortable considering potential market volatility. I think it would be wise to take the time to review the amount of income that can be generated from your current portfolio, review the investment allocation, and the amount of projected future savings/withdrawals. What would a projection of these variables look like? In a worst case/ moderate case/best case scenario? Armed with this information let’s make sure we still have the right portfolio for you. Does your portfolio have enough defense and liquidity? Should we raise more cash? Take more risk/less risk, etc.? Should we lock in a few gains and shift the gains to guaranteed income or laddered bonds or look for another possible strategy? These are potential actions that we can weigh against the impact of the taxes a move might generate. When I was a young investor in 1996 Fed Chairman, Alan Greenspan, famously said stocks were “irrationally exuberant” referring to the tech stocks high valuations and market frenzy at that time, yet the market continued to skyrocket for three more years after that warning from the Fed Chairman. When investors consider that interest rates are close to zero it makes the valuations investors should theoretically be willing to pay for stocks much higher than where they trade today. The lesson I think we should take away is that now is a great time to revisit your tolerance for risk, reconfirm the strategies you are currently using, and then go back to enjoying life. If you execute your plan with the way we invest, it won’t matter in the long run if markets rise or fall. With a globally diversified low-cost portfolio tilted toward the 5 Factors that deliver higher risk-adjusted returns, I believe we will still accomplish your goals no matter what short-term market environment we are faced with. MWA’s 5-year Investment Rule: Remember this investment rule. If you need money from your investments in less than five years don’t invest that portion of your money in stocks, but if you have five years or longer markets are a wonderful place to store a portion of your long-term wealth to protect it from the impact of inflation (even today). Union Point Investment Opportunity: We are in final review of a new investment opportunity that should offer strong monthly income backed by signed contracts. This should be a fairly low-risk total return private real estate opportunity because the three largest select programs in the area have invested $2,500,000 of equity into the project and all signed 10-year leases with rent escalation clauses that should lead to strong investment success. Rates of return will vary with a variety of factors, but we think returns are likely to be north of 15% in most situations with more upside possible. We have completed several investments with this provider and are very comfortable with their expertise. If you have an interest in receiving the investor package, please let me know and I can email it to you when it is available. New portal and software packages: Like any company software is constantly evolving. We are in the final stages of choosing a new portal and reporting/billing system that integrates with portfolio aggregation (which will link all your accounts together regardless of where they are held). This software will allow us to become custodian agnostic, so I believe we are going to begin opening accounts at TD Ameritrade shortly because they now offer lower trade costs than Schwab on our primary mutual fund company, Dimensional Fund Advisors (DFA). Our independence is important to us, and as we have grown, we think it is important not to be too locked into any one company or vendor. I believe our independence is a key to our investors long-term success. Should you have an interest in having accounts at TD Ameritrade instead of Schwab please let us know. Even though we are exploring better ways of doing business and serving our clients, we will continue to keep accounts at Charles Schwab. We would like to try and meet with everyone before year end (even if via a short pre-scheduled phone call). As I mentioned above we want to walk through a stress test of your portfolio and make sure that your portfolio’s risk/ return is correct for your short and long-term plan. When Crystal reaches out via email please respond yes/no. Thanks for your trust and support, as always please reach out with any comments or questions. We are honored that you have chosen us to be your financial partner and we value the relationship we have.